Interested in measuring your windows for mini blinds? Our guide can show you the steps for measuring and installing these affordable, versatile, and sturdy window treatments. Blinds.com knows that the perfect fit for a beautiful new window treatment all starts with an accurate measurement. If you’re planning a DIY window treatment project, our How to Measure Mini Blinds guide makes measuring blinds easy! 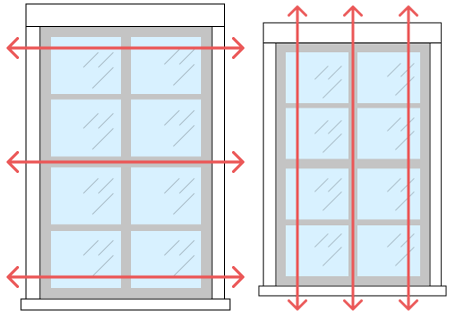 Measure the depth of your window frame, from the front of the opening to the glass. You’ll need this measurement to ensure your window recess meets the minimum depth requirement for an inside mount. Refer to the Mounting Requirements section for the window treatment you’ve chosen to ensure your window meets the requirement for an inside mount. 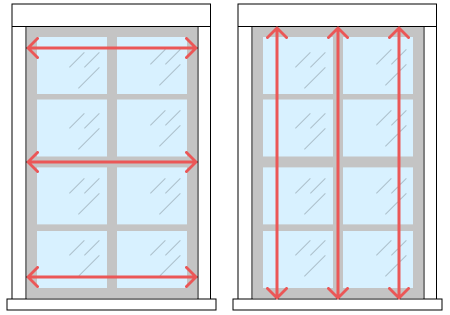 Measure the width of each window opening. Record the width at the top, middle, and bottom of your window opening. Circle the narrowest measurement of the three – this is the number you submit for your window’s width. Check the mounting requirements on your mini blinds to ensure you have enough flat surface for the mounting hardware. Determine the width of the mini blinds you want to order. If you have window trim, simply measure to the far edges of the trim from left to right. Double check that your measurements follow the width by height format (W x H). Remember, with outside mount mini blinds, your product will be made to the exact specified size.